While buying or selling a home, it is important to know about the various real estate legal forms. Examples of these legal forms are agreement for sale, mortgage deed, and certificate of title, purchase contract, seller’s disclosure and many more. Such forms are required be it residential real estate or commercial real estate. Real estate closing form enables the transfer of the real estate title from seller to buyer. Closing form is used as the final step in executing the real estate transaction. Care should be taken while filling these legal forms. The information provided should be accurate and free from errors. Download sample Real Estate legal forms available online. These forms are available in either MS Word or PDF formats. Download, edit and print as required. Month to Month rental agreements are simple 1 page rental agreements which are short term deals allowing the tenant a stay for 30 days only. Punch List forms are used in construction industry for new office or home construction as a checklist. When a person gets into a deal with the owner to use the agreed property for exchange of money known as rent in an agreement it is known as Roommate Rental Lease Agreement. A room rental agreement is entered by two parties whenever a person decides to take a room on rent from the land lord. A l or a real estate rental contract form is usually filled by a person or by a family who wants to reside in a residential property on a rental basis. A security deposit receipt form is a receipt of the amount received by the landlord from the tenant in the form of security deposit. 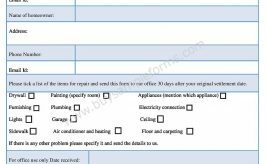 Rental Property Condition Report Form is a report used to describe the condition of the rented property. 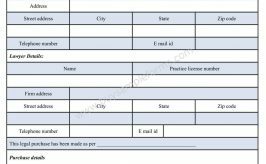 This form is basically prepared for real estate purchase or sales purpose. The FHA Real Estate Certification Form or Federal Housing Administration (FHA) Amendatory form is used when selling a home to a buyer with a home loan insured by the FHA. The real estate agent forms are filled by the client who requires services of a real estate agent to buy or sell property on his or her behalf. A home improvement form is filled by an owner of the house requesting the contractor for renovating the house. A commercial construction means construction of buildings for the conduct of business. All constructions other than residential constructions like shopping centers, hotels, offices etc.